Hi there! It’s Marsha Valk here today, and I’m so grateful that you're here! 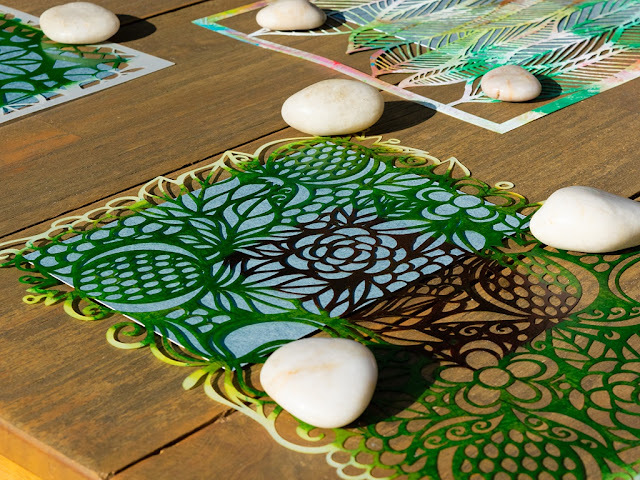 This month’s StencilGirl® Creative Team Inspiration theme is 'gratitude', and in honour of this theme, I decided to start a gratitude journal. I’ve never kept one before, though I’m sure I first heard about the concept many years ago. If you have ever kept one yourself, I have a feeling it will come as no surprise to you that I discovered that on most days I’m just grateful for the most mundane and small things. Like for instance food, a good night’s rest, a conversation, flora and fauna, my washer/dryer, books, creative time and warm socks. And, just how often can one person write about being happy and grateful for the sun? Well, often as it turns out! 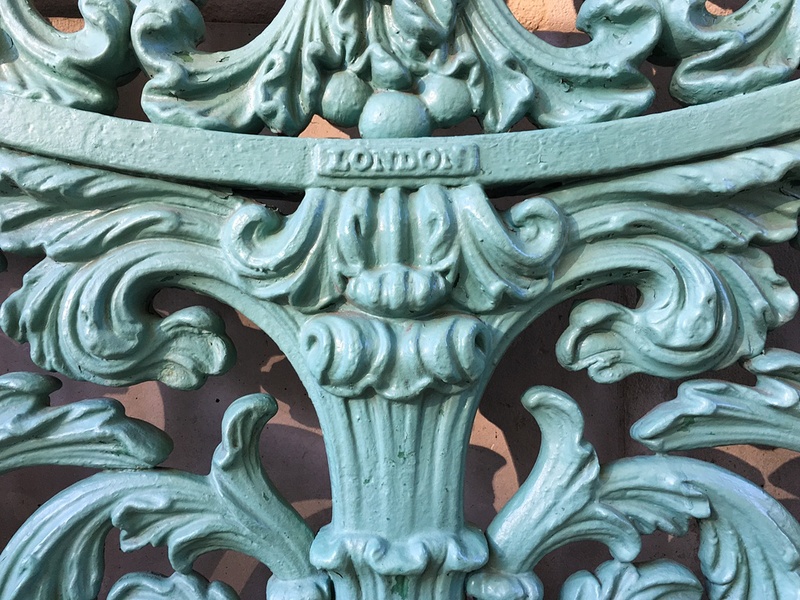 A much less mundane thing I was super grateful for recently was a long-wished-for trip to London. 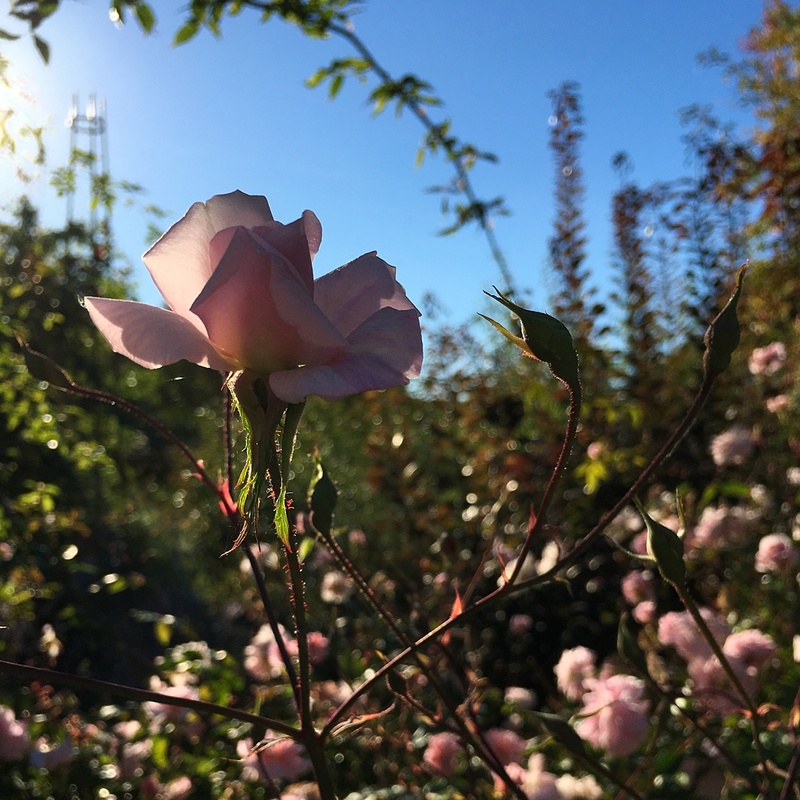 In my journal I expressed gratitude for the time spent with my husband, the safe flight home, all the blissful hours wandering through museums and, you’ve guessed it… the sunny and unusually warm autumn weather we experienced during our stay! One unexpected type of art I encountered in all three museums we visited was camera-less photography. 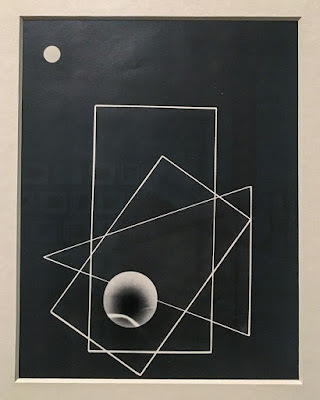 I have always been intrigued by cyanotypes, and I had seen photograms by Man Ray and Max Ernst before, but I never really understood how it worked until I learned more about the technique at Tate Modern and the Victoria and Albert Museum. 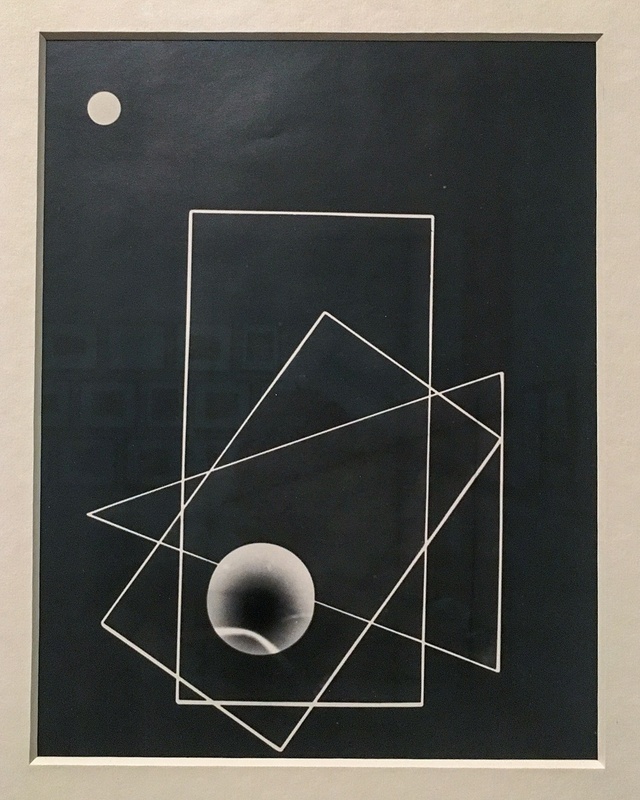 A photogram is made by placing objects on paper that has been treated with photographic chemicals and then exposing the paper and objects to (sun) light. 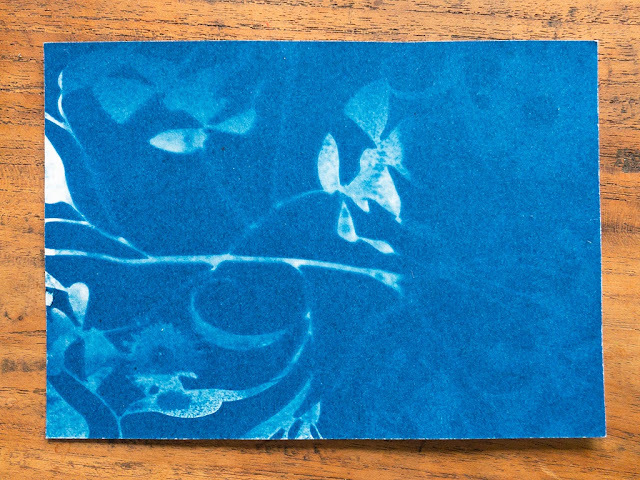 The parts of the paper that are obscured by the objects stay light and the areas around it turn dark. The result is a negative silhouette image. 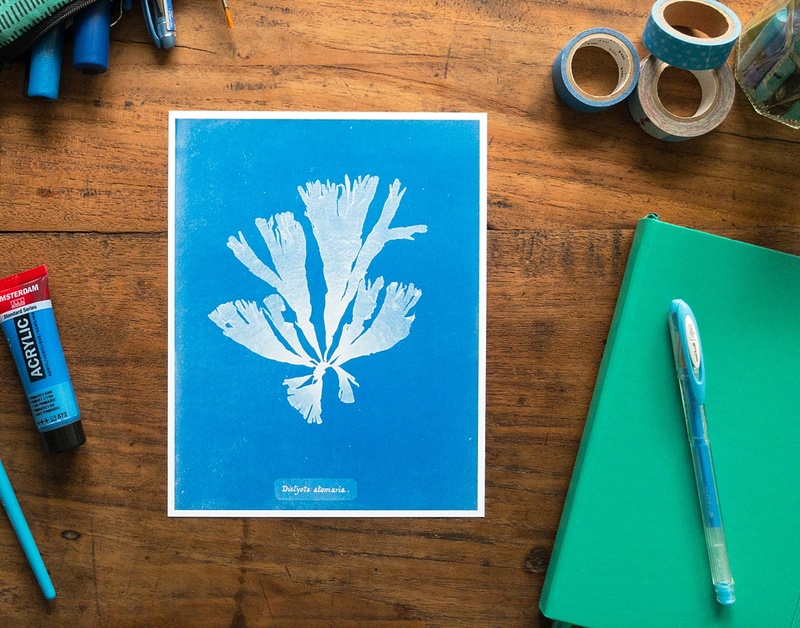 Cyanotype or blueprint is one of the earliest types of this kind of photography. Did you know that the first book ever illustrated with photographs was produced by a British botanist called Anna Atkins in 1843? 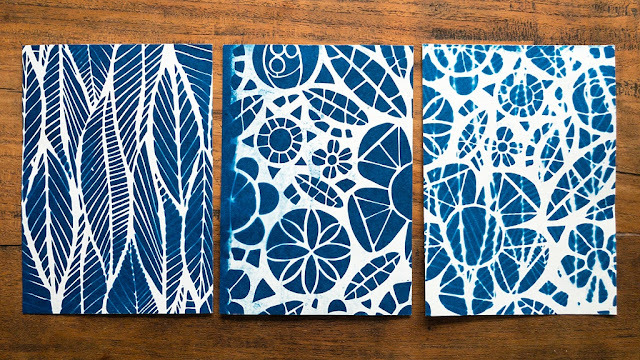 The entire book consists of cyanotypes of seaweed. 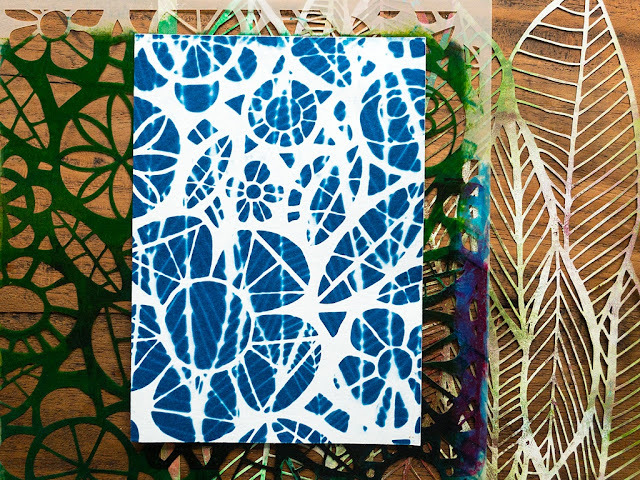 Which doesn’t sound very exciting, but the photograms are genuinely stunning. You can view digitised versions of two of her books on the websites of the New York Public Library and the Rijksmuseum (I’ve linked them below). So, when my husband and I found a pack of ready-to-print cyanotype paper in the museum shop at Tate, we could not resist buying it. Lucky for us we had a couple more days of sunshine after we got home. So on Sunday afternoon I chose a couple of StencilGirl® stencils that feature flowers and leaves (in keeping with Anna Atkins’ botanical cyanotypes), and I set up an impromptu print session in the yard. The process is straightforward: remove a sheet of paper from the black bag it comes in, place the paper in the sun and quickly lay an object (in this case a stencil) on top. Then wait for 10-25 minutes (depending on how strong the sun is). 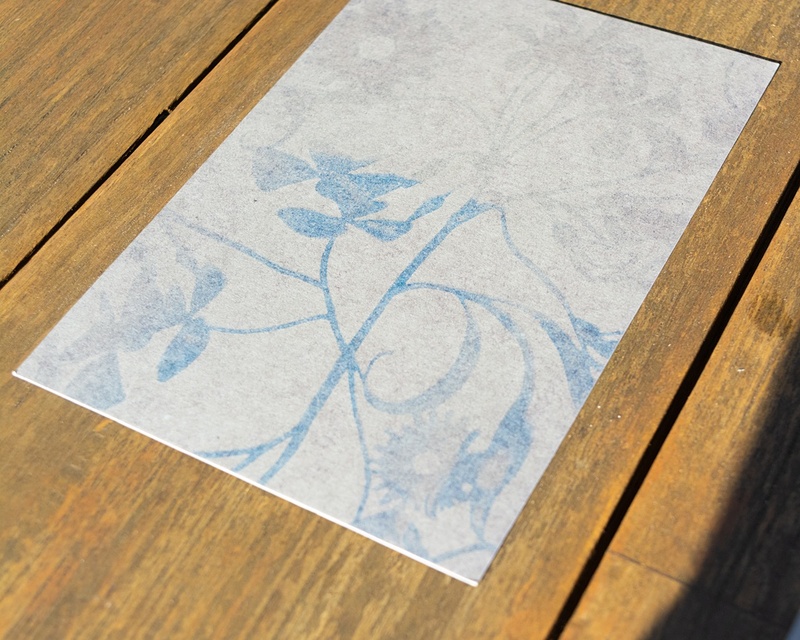 Repeat the process for the backside of the paper and then develop it by rinsing it under cold running water. You can see the print appear when you rinse it, and the print gets even brighter once the paper dries. I have to be honest: it wasn’t as easy as I thought it would be! 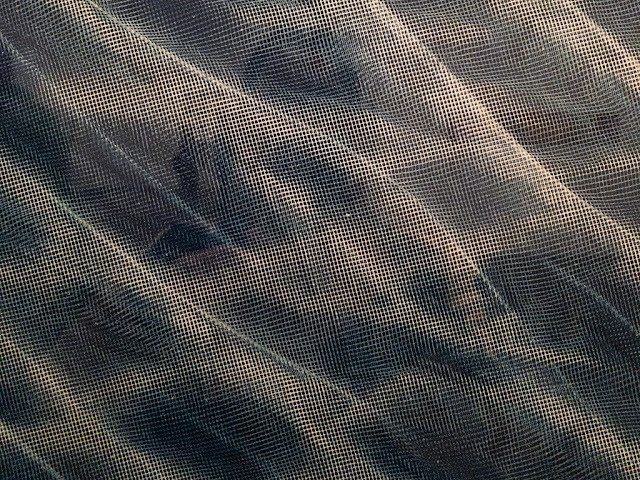 The paper and the object can’t move during exposure otherwise the print will turn blurry. My decision to use pebbles as paperweights wasn’t the best in that regard. 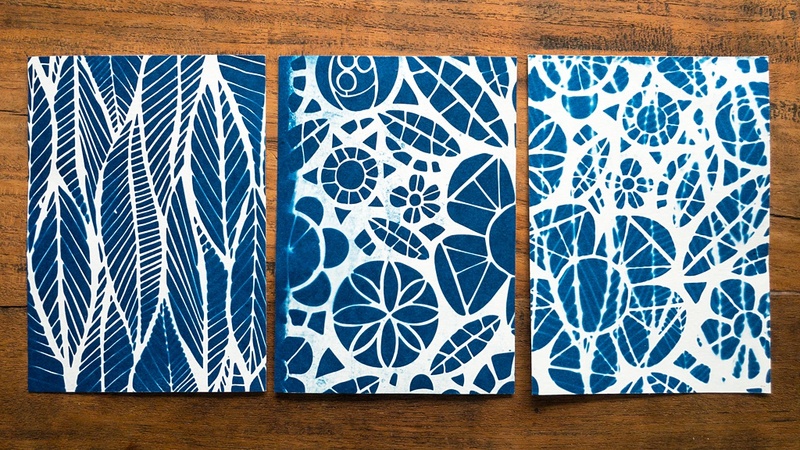 I do think that stencils were the perfect material for our cyanotype debut, though the stencil that I had the highest hopes for turned out to produce the poorest prints. 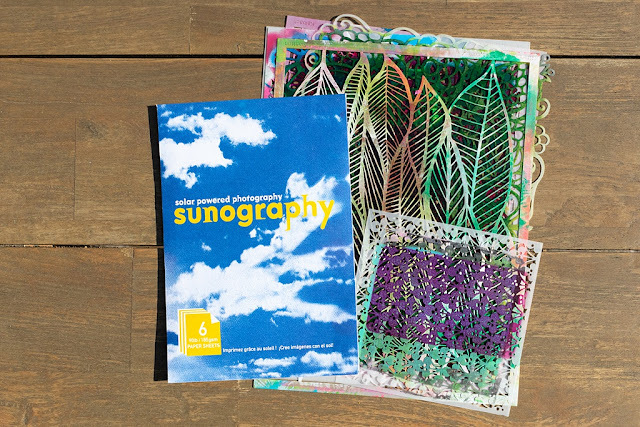 The sun kept creeping under the delicate lines of the Garden Montage stencil during exposure! If you want to try this at home, don’t use pebbles like I did, but use a piece of clear plastic or glass instead to hold the stencil and paper in place. However, it was a magical process, impatiently waiting for the paper to discolour, pondering if the exposure time was long enough, rinsing the paper under the tap and then seeing how the prints developed. 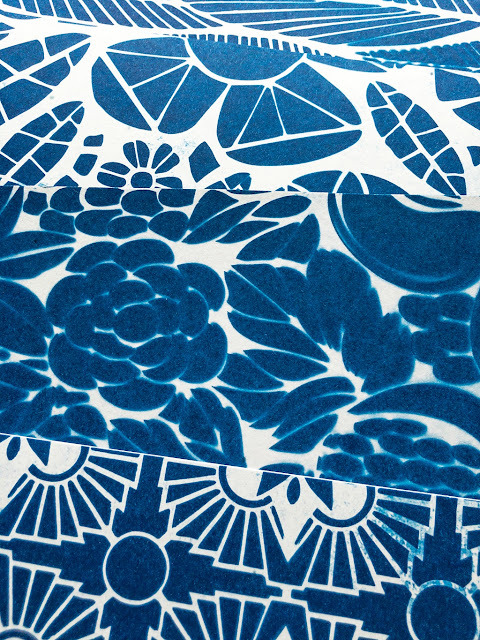 The Prussian blue of the prints is so pretty! 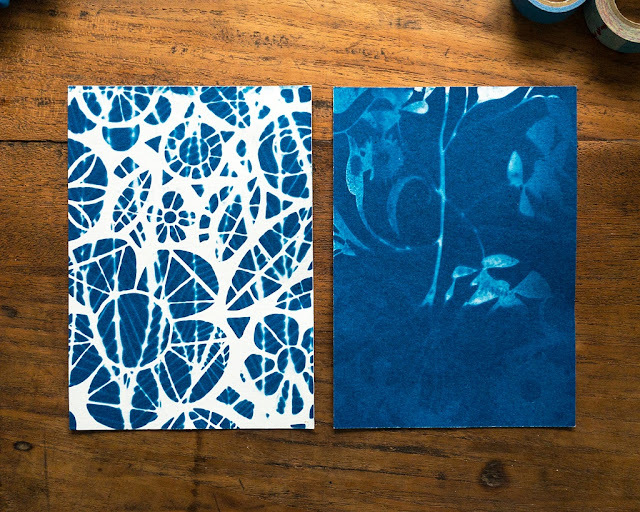 I’m excited to have another go at this, but next time I want to create my own photo-sensitive papers and fabric. What do you think? Is this something you would like to try on a sunny day? And before I leave you, any guesses as to what I wrote in my gratitude journal that evening? 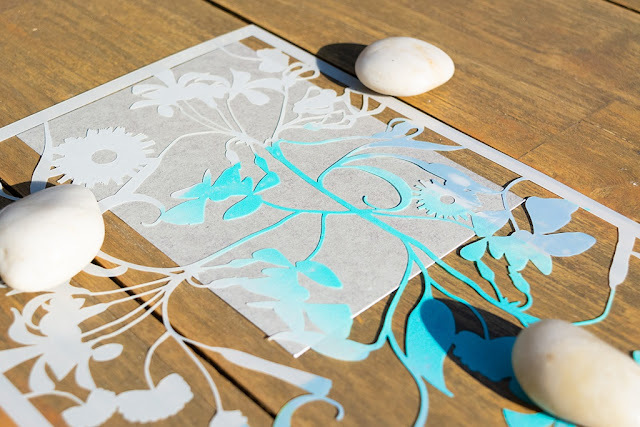 This is a wonderfully inspiring description of yet another way to use our beloved stencils. Thank you, Marsha! Great project - thanks, Marsha! What an awesome technique! Beautiful! Take care and STAY POSITIVE!